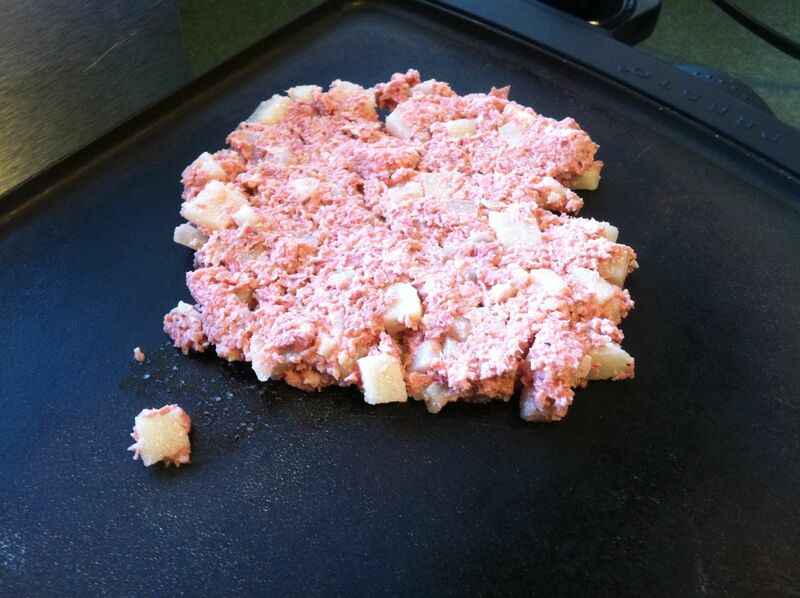 In the CBH Test post, I professed my love for Corned Beef Hash. 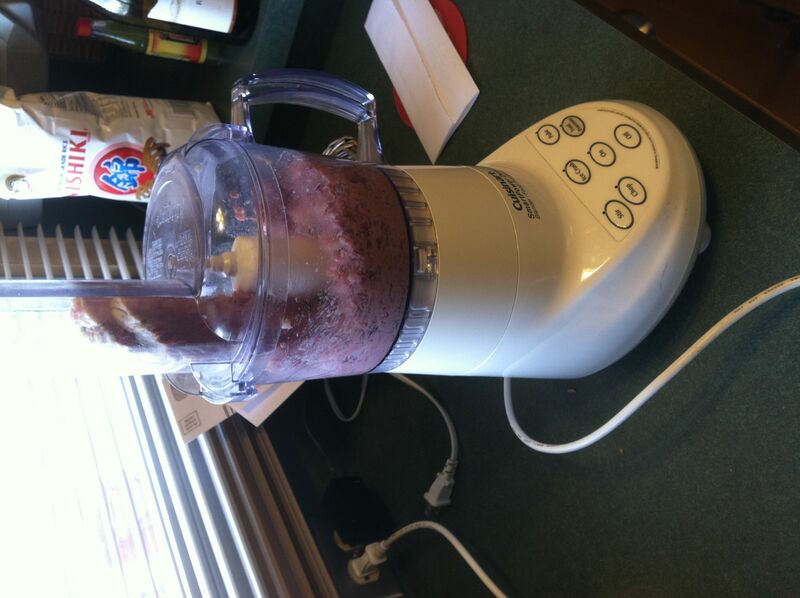 While I rarely make it myself, it is a critical test for any place I am going to breakfast. 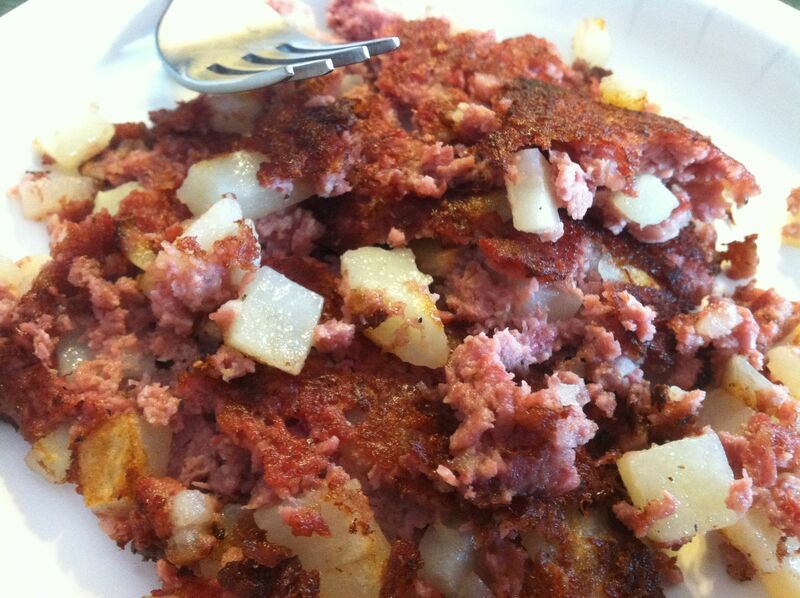 Lucky for me, a neighbor down the street, Bill, is a fellow cook and he not only makes his own hash… he makes his own corned beef. The other day he invited me down while he was making hash. 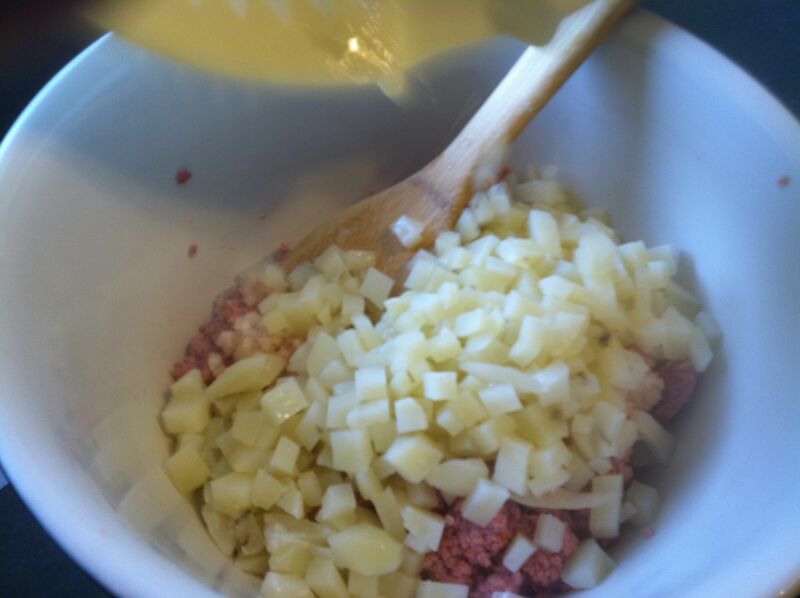 The corned beef is beautiful and it contrasts with the large chunks of potatoes. 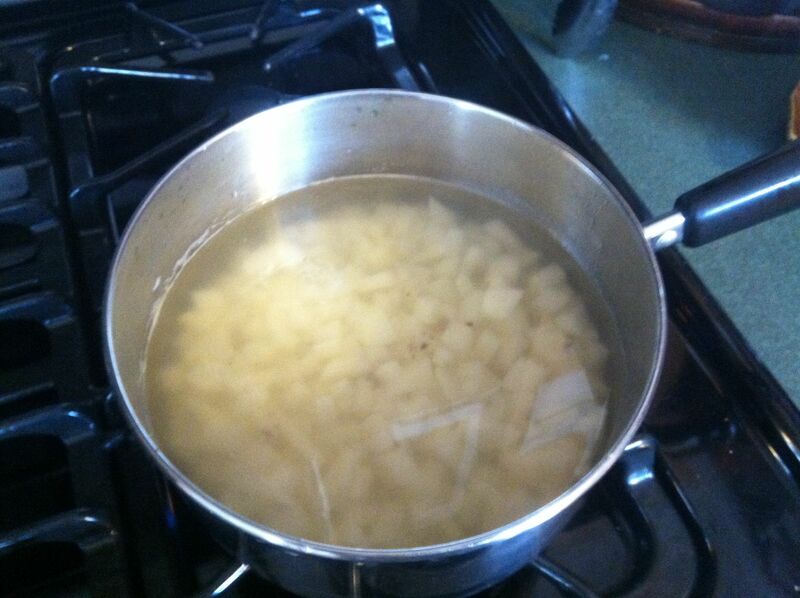 Bill peeled, diced and simmered the potatoes to get them soft. 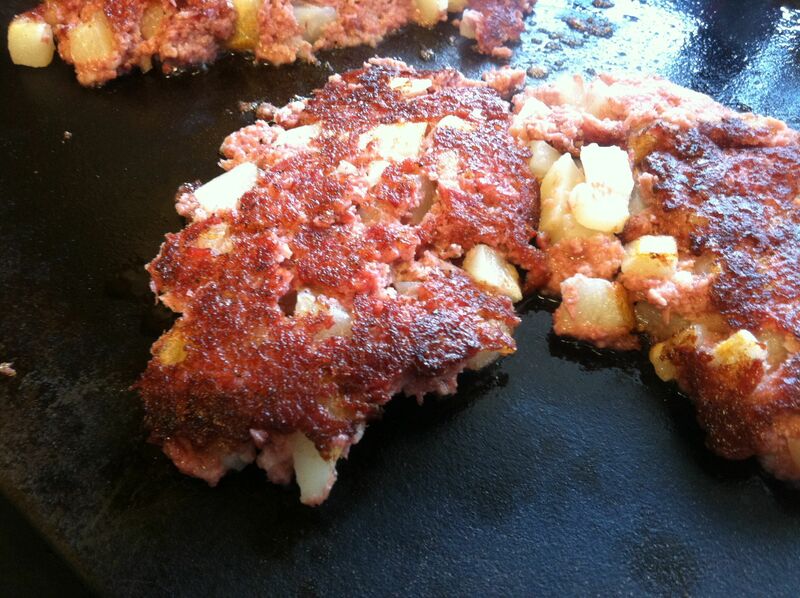 One of the corned beefs that he had made. 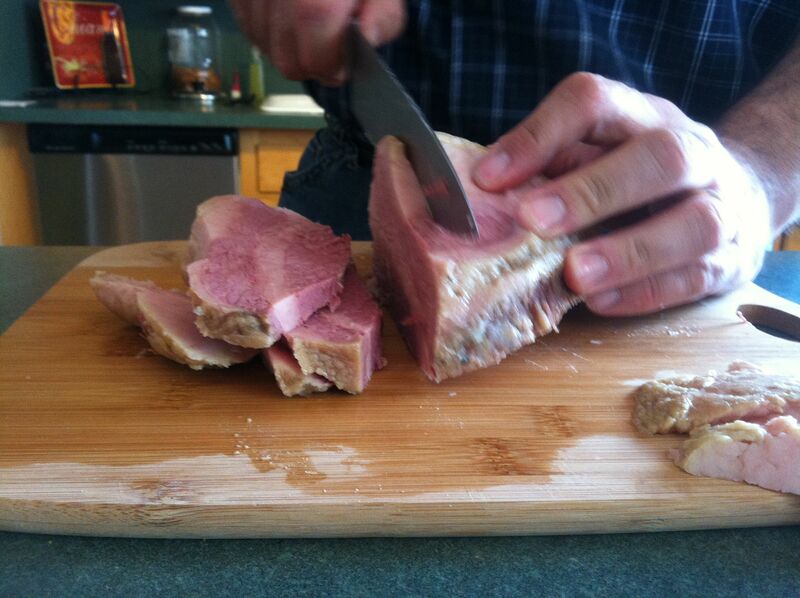 Here he cuts it into large slices. 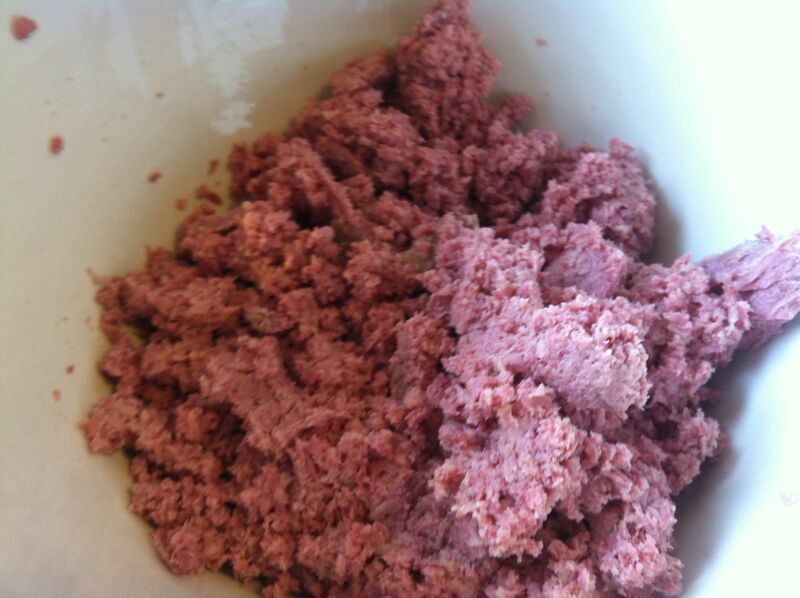 And into the food processor it goes to get a chop. Mixing it with the potatoes. And deliciousness on a plate!